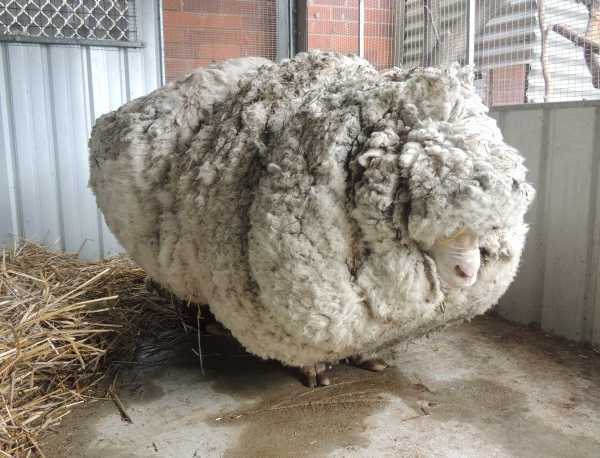 Australian shepherds won’t be pulling the wool over Chris the Sheep’s eyes anymore as the much-muffled Merino was shorn of 89 pounds of fluffy white fleece. 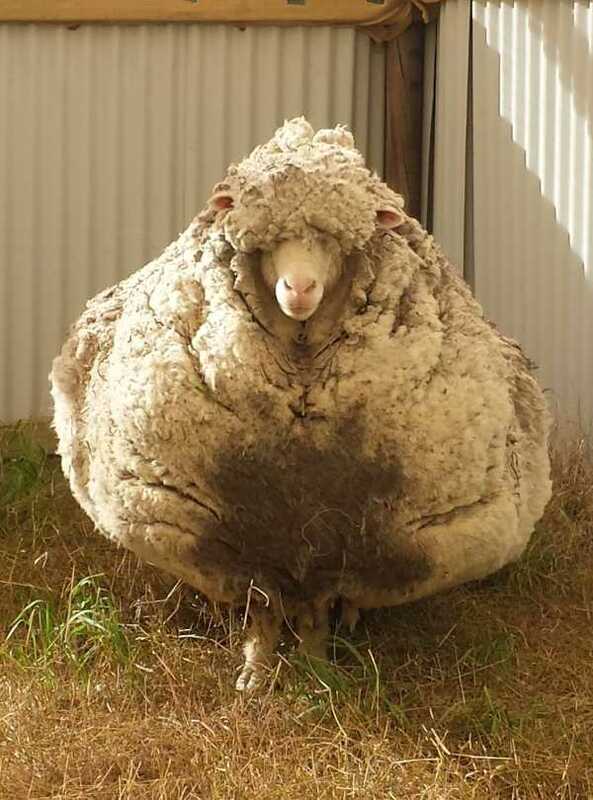 Meet “Chris the Sheep’”, a woolly wonder who wandered wild for an estimated 5 to 6 years in the Mulligans Flat area near Australia’s capital, Canberra. Local bush walkers who gave Chris his name figure he strayed from his flock and missed more than a few annual shearings. 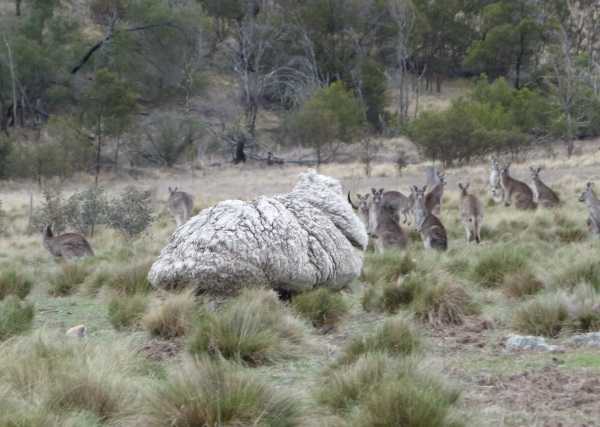 Unlike wild sheep that shed their thick winter fleece every spring, modern Merino sheep like Chris are bred to continually grow wool… and if no one’s around to shear it, the wool just keeps on growing! 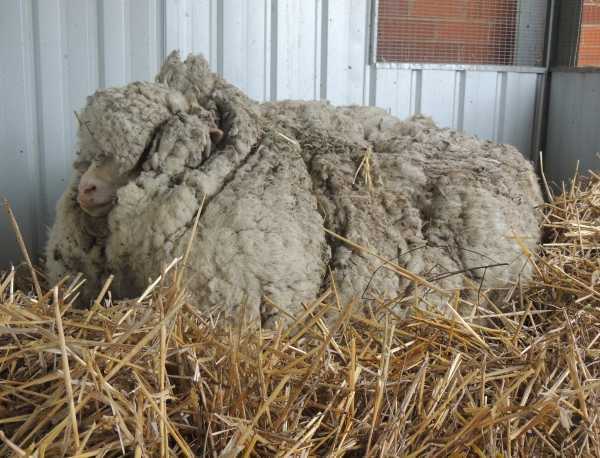 By the time Chris was rescued by members of the RSPCA ACT (Royal Society for the Prevention of Cruelty to Animals – Australian Capital Territory) on September 2nd, 2015, he was barely identifiable as a sheep. 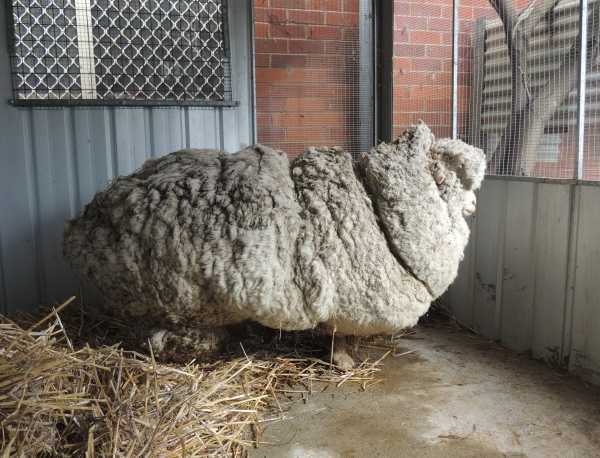 His immense woolly overgrowth had nearly doubled his weight and was threatening to block his vision. 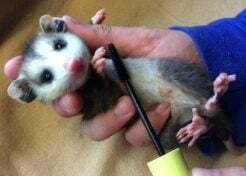 With the hot southern summer looming, Chris’s prospects were bleak if he remained in the wild.